You are browsing the Blog for The Pioneer Archives - Exclusively Analogue. 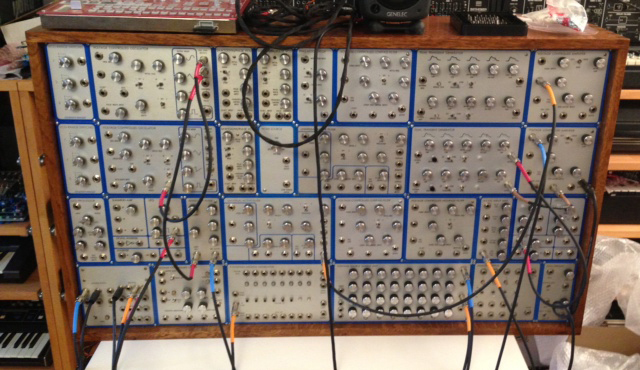 At the end of 2013 Tony decided to build a special 24″ by 24″ “Square” Pioneer ‘Tribute’ system similar to the original Emu modular that he had in 1994. 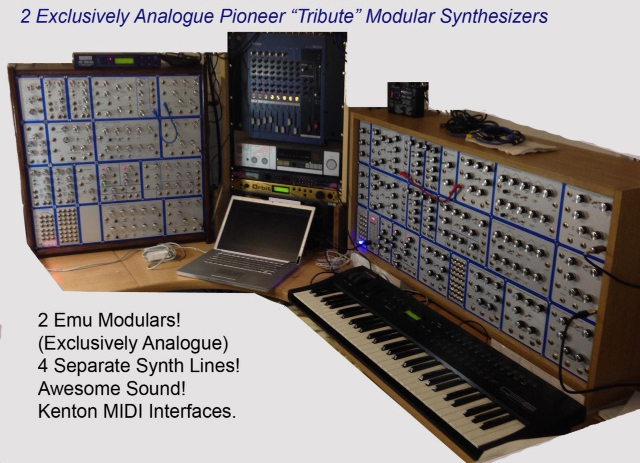 The modules have been built into a Maple wood cabinet and have been set up as two complete synthesizer lines including 5 VCOs, 3 different Voltage Controlled Filters, 2 Dual Transient Generators, 2 Voltage Controlled Amplifiers plus a few other useful modules. 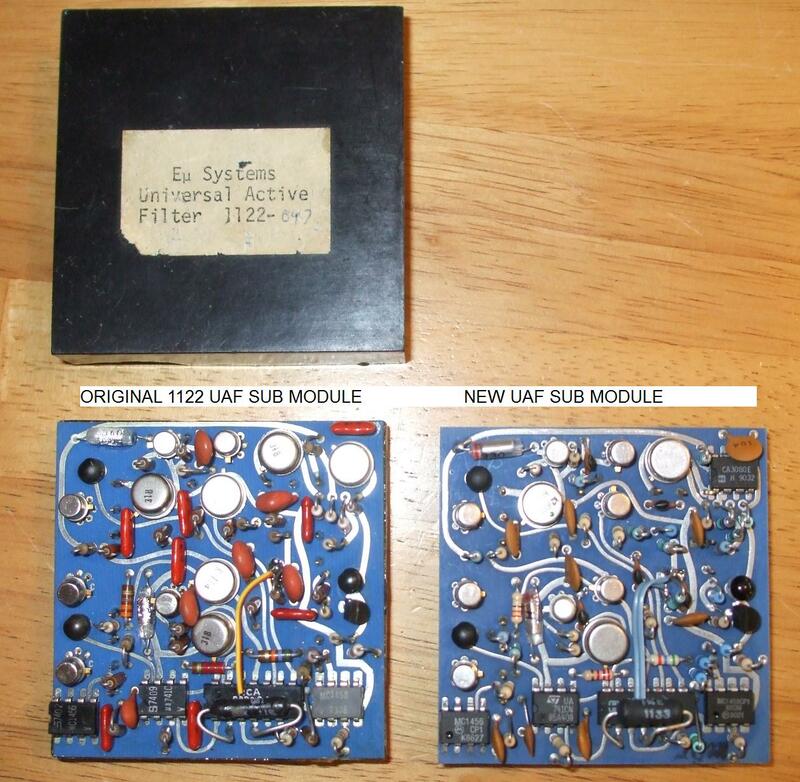 The picture below shows two modular systems together. 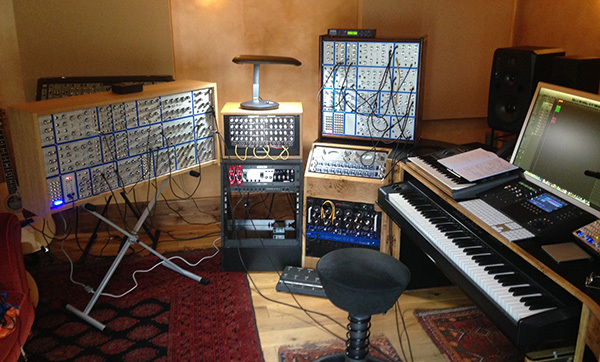 The two systems provide 4 separate analogue synth lines controlled by various Kenton MIDI/CV convertors. Using the MIDI files of some well-known pieces of music Tony had the basis to experiment with different sounds. As an example, he used 1 line for the bass, 2 lines as sequences and the final line as a lead with an added drum track from a MacBook Pro. The MacBook Pro, running Logic Pro, was also able to control everything via a MIDI interface. 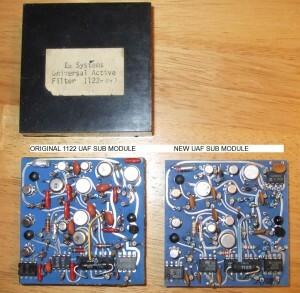 So what sort of sounds can be created with 2 Emu Modulars? 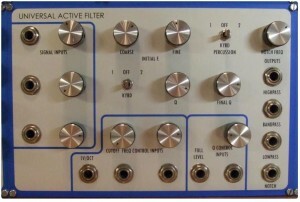 Well just about any classic analogue sound because both systems have Universal Active Filters and MultiMode filters to compliment the usual 24dB Low Pass Filter meaning the more interesting High Pass Filter ‘buzzy’ sounds are available. Tony is a fan of a slow sweeping HPF with resonance as an effect if you can get the slow sweep to work in time with the music. Another nice effect is having the filter frequency shift in time with the music to create a rhythmic pattern similar to adding an accent on certain notes, say every 4th note in a 1/16th note sequence. 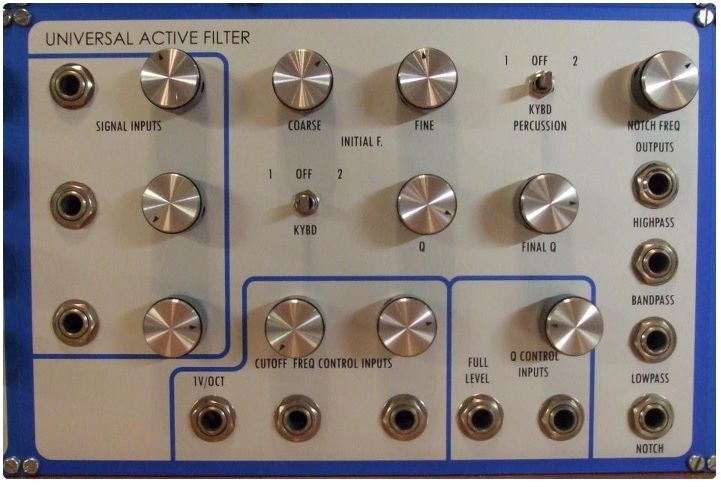 He’s done this previously using analogue sequencers but in this latest set up I used the aux outputs from the Kenton interfaces to provide the additional voltage to change the Filter cutoff. The original plan was that the new “Square” system would be sold and it has therefore been advertised on eBay. However, like every one of the Tribute systems built so far, this one has been ‘lovingly’ hand crafted to a very high standard and as a result is one of a kind. If you are interested in purchasing this system for your studio or setup please get in touch. While being busy at work and building the Pioneer “Tribute” systems a small window presented itself to record some more soundbytes. Available via the Exclusively Analogue soundcloud profile you can also listen to them below. In the future we will be looking to host more of these on Soundcloud and ensure we have a central store people can refer to in order to hear what the various Exclusively Analogue systems are like. As work continues on building the Pioneer “Tribute” systems and as a follow-up to the photos supplied in the last blog post here is a short sound test that was recently recorded. Apologies for the fuzzy ambient noise in the background, future recordings will hopefully have this reduced so the full capabilities of the system can be admired.